Don't let your safety signage lumber in the background. 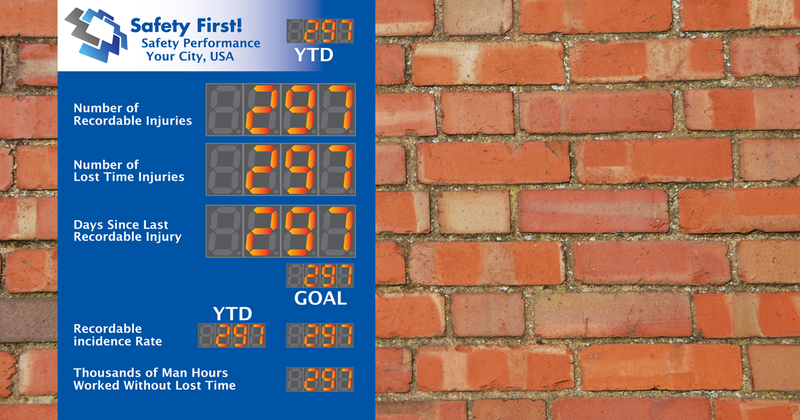 Signage that automatically tracks safe days demands attention and keeps your employees motivated about safety. 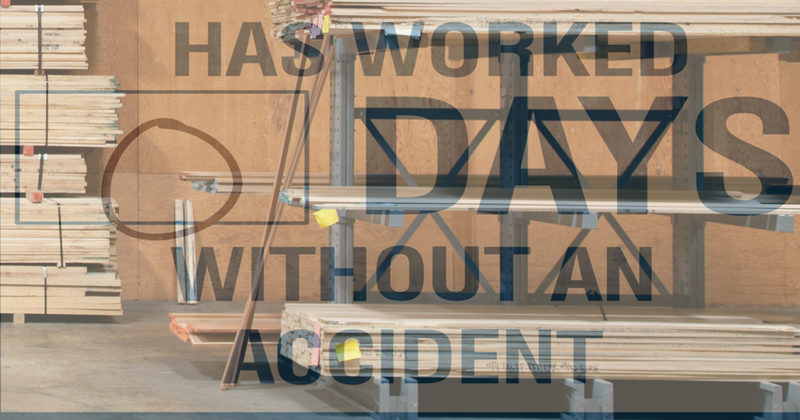 You'll need to focus on more than just numbers to keep your workplace free from injury. Communicate your goals and when you reach them, start over! Feeling Lucky, or working safely? Keep these numbers moving higher, because it’s your noggin on the line. If it’s not one of your limbs or digits, it’ll be that of someone you know.